The Karpeles Manuscript Museum-St. Louis is one of fourteen locations across the United States that hold the world's largest private collection of original manuscripts. The first draft of the Bill of Rights. The paper Einstein’s E=Mc2 was written on. Noah Webster’s first dictionary. These are three influential documents that are included in collector David Karpeles’ largest private collection of original manuscripts in the world — three of over one million such documents. Some of those documents reside in St. Louis’ Karpeles Manuscript Library Museum, a little-known curiousity, which opened last August near the Compton Hill Reservoir at 3524 Russell Blvd. The St. Louis museum is one of 14 such locations across the U.S. in small-to-mid-sized towns that house the documents, which rotate through on an exhibit-by-exhibit basis, free to visitors to view from 10 a.m. to 4 p.m. Tuesday-Sunday. Kerry Manderbach, the director of the Karpeles Manuscript Library Museum-St. Louis. The story behind why Karpeles started collecting such documents, why a museum is in St. Louis and the stories of the manuscripts are fascinating. On Wednesday’s St. Louis on the Air, host Don Marsh discussed some of those stories with the museum’s director, Kerry Manderbach. There's a little-known museum in St. Louis that, in part, holds the world's largest private collection of original manuscripts. St. Louis on the Air host Don Marsh discusses how it came to be here with the museum's director, Kerry Manderbach. St. Louis is the largest metropolitan area to host one of the museums — typically they are placed in smaller cities and always in historic buildings in need of preservation. Historic preservation is certainly the case for the St. Louis location, which is housed in the former Third Church of Christ, Scientist. Karpeles has an interesting backstory himself. Born in California in 1936, he grew up in Minnesota, where he received his undergraduate education in mathematics. He spent some years as a math teacher before becoming a researcher with Remington Rand UNIVAC Corporation, which was at the forefront of computer technology. He later moved on to General Electric, where he developed the first optical recognition software program to scan checks and digitize those figures instead of manual bank entry. David Karpeles, who owns the world's largest private collection of original manuscripts. He also dabbled in California real estate, which was a lucrative endeavor. During this time he married Marsha Mirsky and had four children. It was those children who influenced him to start collecting manuscripts, when they’d visit the Huntington Museum and the children grew fascinated by the handwriting of the founding fathers on original manuscript documents kept at the museum. He pestered the museum’s curator about who collected such documents. When he found out that private collectors rather than museums were responsible for most of the collecting, he started bidding on such original manuscripts himself at Sotheby’s and Christies. One of the reasons private collectors hold so many of the world’s original manuscripts is because the National Archives did not exist until 1934. 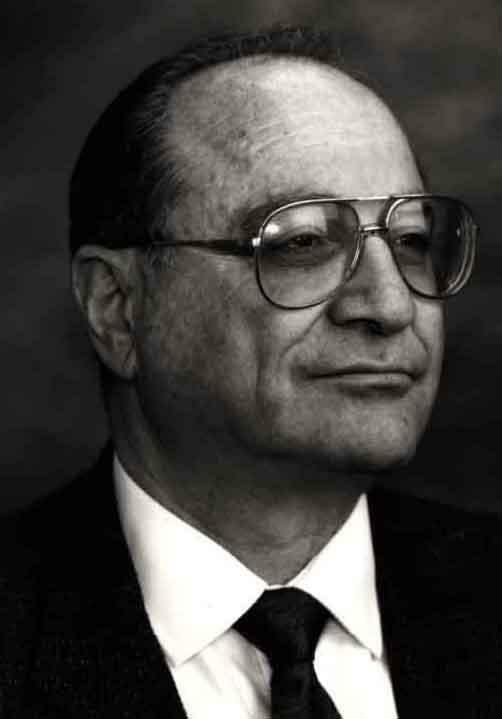 In 1978, Karpeles purchased his first manuscript. Fast forward to 2016: Karpeles now has over one million such original documents in his collection, which travel between the fourteen library museums across the country. The current collection on exhibit in St. Louis is worth about $100,000. Right now, the St. Louis museum has an exhibit on the presidents of the Continental Congress. Previously, they’ve had exhibits on the Wright Brothers and, later this summer, an exhibit on Charles Dickens. There are also several St. Louis-specific documents on display at the St. Louis museum, including a letter from Franklin Delano Roosevelt to a local rabbi commemorating that St. Louis had the first synagogue west of the Mississippi and a proclamation signed by Abraham Lincoln about the arsenal in St. Louis during the Civil War. The museum also houses the St. Louis Media History Foundation, which has archive materials from local newspapers, television stations, radio stations and more. Manderbach said that there are also spaces in the building for non-profits to use. Early next year, the Saint Louis Chamber Chorus will also perform in the space. If you want to see a full list of interesting documents in the collection that may make it to St. Louis one day, check out this list. As for why you should be interested in the manuscripts themselves? “These are the footprints of history,” Manderbach said. Updated 9:21 a.m., March 30 with clarification on No. 8 - As a St. Louisan, there are things we pass by all the time that are just plain weird. How many of us actually stop to ask why they are that way? That’s the reasoning behind St. Louis Public Radio’s Curious Louis project and also why local author Dave Baugher wrote a book investigating all the things he wanted to know the backstory of. The National Park Service has completed a multiyear study and is recommending that parts of Ste. Genevieve be included in the national park system. Before the land could become an NPS unit, either a law must be passed by Congress and signed by the president, or executive action must be taken by the president. We’ve said it before and we’ll say it again: Tennessee Williams was not the world’s biggest fan of the town he grew up in. But that’s not stopping the first-ever Tennessee Williams Festival St. Louis from happening here in tribute to one city's greatest playwrights and most beloved iconoclasts. On Thanksgiving, every year from 1906 until 1931, a luscious, mysterious Thanksgiving dinner would appear before the children living at Father Dunne’s Newsboys Home and Protectorate, formerly located at 3010 Washington Ave. in downtown St. Louis. The home was a place for orphaned or homeless boys, often newsboys, who were too old to take shelter at typical orphanages.